June 13, 2018 | By Fatima V.
This past March, Children’s Miracle Network was invited to a Sam’s Club Grand Re-Opening and Ribbon-Cutting Ceremony in Irving, TX. 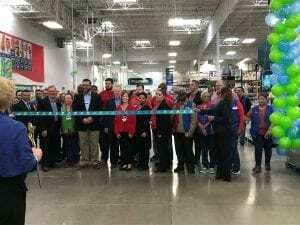 Sam’s Club was going through a renovation period in order to improve service for it’s customers in the Irving community. Walmart and Sam’s Club have been a CMN partner since 1987.